Enter our lucky draw to win this beautiful pink jewellery box, which is perfect for any lady on the go. 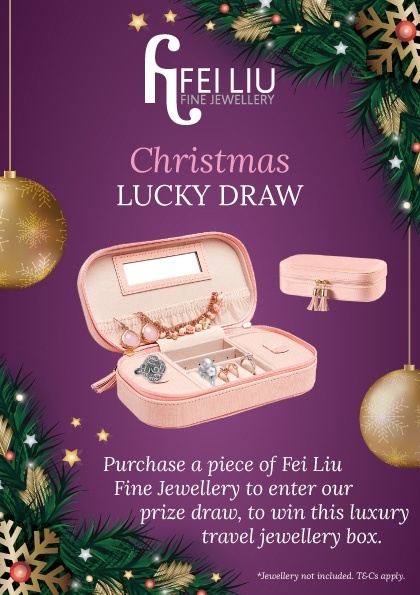 Any purchases made online – feiliufinejewellery.com – will automatically be entered into our lucky draw. Ends on 30th December. Good luck! *Entries for the lucky draw are only applicable to purchases made on www.feiliufinejewellery.com. Jewellery is not included with the the travel jewellery box. The winner will be contacted via email. If we do not receive a reply within a week, another winner will be selected.